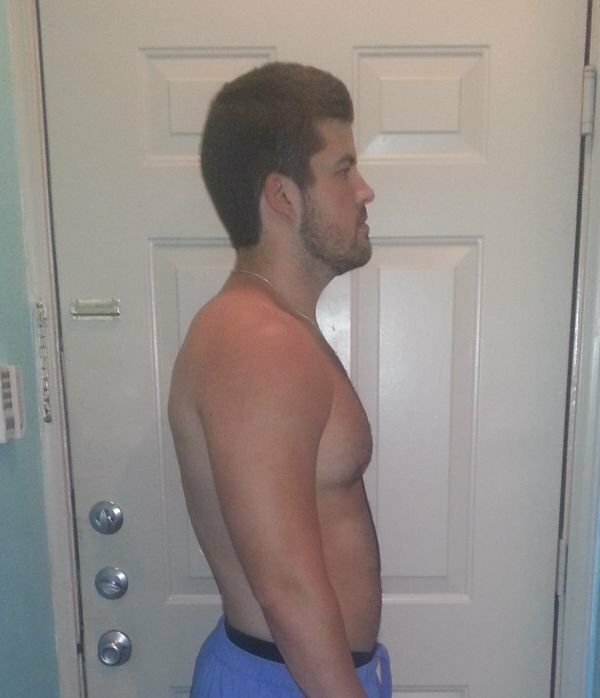 "I was shocked to consistently see 2 pounds per week coming off, and not losing any strength." 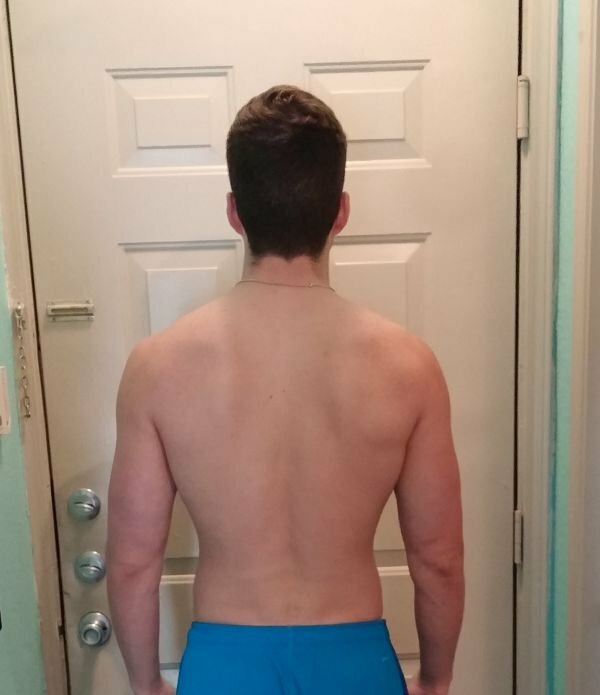 I am 25 years old, and have been lifting consistently since the age of 13. I powerlifted competitively all throughout high school, so I’ve always had a pretty solid starting platform of strength in the core lifts. It wasn’t until discovering Muscle for Life and Mike’s articles and collective works that I started putting everything together as far as diet, workout frequency, and rest, however. I’ve been incorporating the principles explained in Bigger Leaner Stronger since around June of 2014, picked up and read Beyond Bigger Leaner Stronger when it was released, and jumped right into the workouts presented in it and felt right at home. I started tracking my calories and macros in June 2014 primarily relying on MyFitnessPal to do so, but manually entering my own numbers based on whatever I was trying to do body composition wise at the time off of the recommendations found in BLS and BBLS. 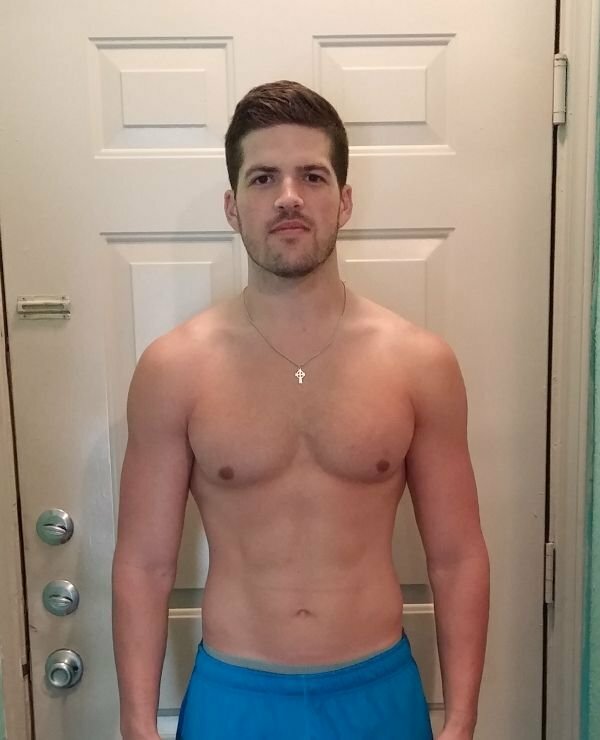 I started at 201lbs and approximately 24-25% body fat in June, and as of the first week of April I am at 167.6lbs and between 10-11% as best I can tell through measurements and caliper readings. 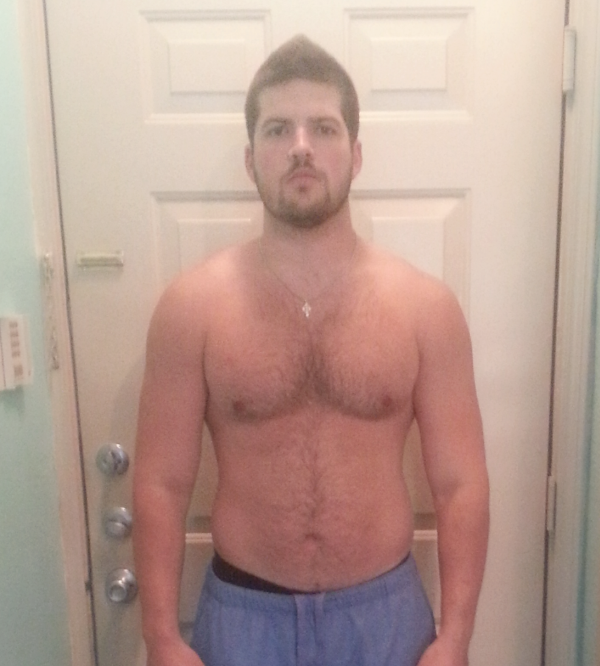 Total weight loss to date is 33.4lbs, of which 25 of it came off in the first 3 months of my first cut. I probably could have gotten to where I currently am a bit sooner, but I had a couple of instances of reverse dieting to get my metabolism back up to speed and then tried to start bulking for a bit. The bulk only lasted for about 4 weeks because I panicked when I started gaining weight back faster than the expected 0.5-1lbs per week, so I immediately jumped back into a deficit and am drawing it to a close as I am writing this in early April. Starting the BLS program has primarily benefited me in my effort to trim down while maintaining my lean mass and strength, which was very important to me. 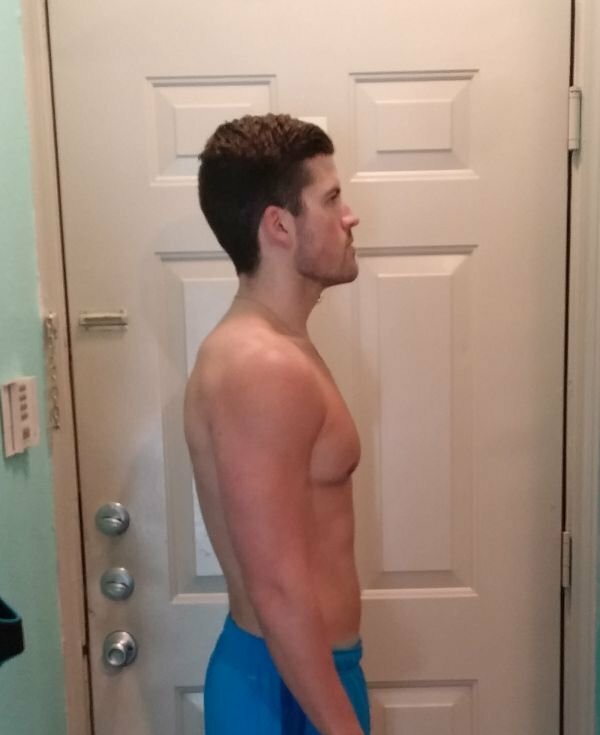 My big lifts have all stayed within 10-15 pounds of where they were when I began the program at 201lbs, which while not as impressive as doubling or tripling my beginning weights, was still a huge confirmation that the methods of weight loss taught did not equate to much, if any, muscle loss. 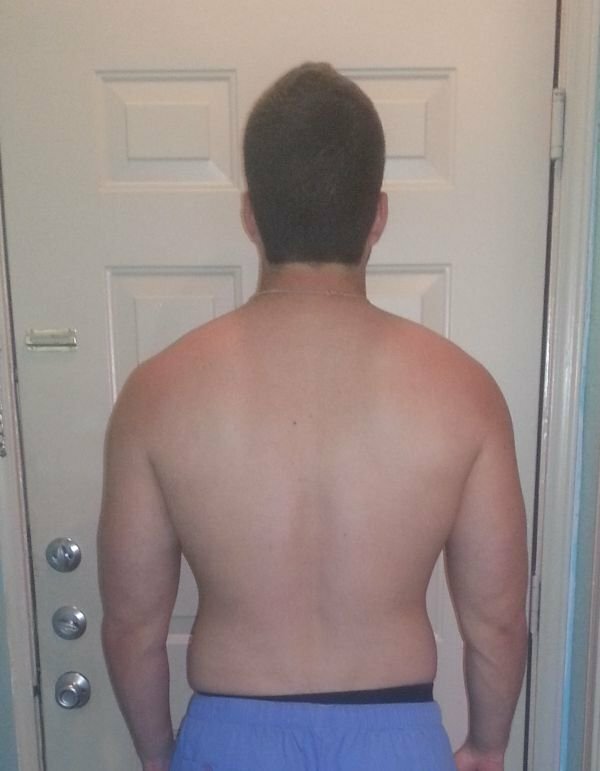 I was doing working sets of 5-6 with 275 on bench and 365 on squat at 201 before starting the program, but wasn’t consistently heavily shoulder pressing or deadlifting. At 168 I am able to workout in the 4-6 rep range with 265 on bench, 335 on squat, 300 on deadlift, and 155 on military press. So some minor overall decreases on a couple of lifts, but coupled with losing over 30 pounds I’m very pleased with the maintenance/progress a 20% deficit has allowed. I’m excited to see what I’m able to do once I reverse diet back into maintenance for the summer in order to more easily enjoy a vacation or two! I have never been a big fan of “following someone else’s workouts” whether from fitness magazine’s or an online “insert actor here’s workout program”, so I naturally wasn’t just seeking a program or book to follow. 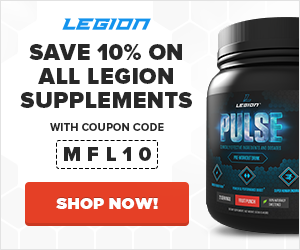 I came across the Muscle for Life website and began reading an article here or there. I started picking up on how well-researched and non-marketing driven Mike was and decided to do some more digging. I had always been of the (wrong) opinion that you could either look strong or be strong, and I’d much rather be strong. The physiology behind manipulating energy balance and the rep ranges mentioned in all of his work really jived with what I knew, but had never quite put together so concisely. The wealth of information provided in just his articles and free e-books alone was more than enough to revolutionize what I was doing with my personal fitness, so I figured that I’d give the books a try and pick up anything that hadn’t already been exhaustively covered elsewhere in the plethora of resources made available for free. I was very surprised (and pleased) when it started off by simply explaining the basics of common vernacular relevant to the fitness world as words have such a powerful effect when properly understood and therefore better utilized. I’ve loved the books, and recently picked up the second edition of BLS to reread and in order to have an extra copy to loan to friends and family! I love the emphasis on heavy weight lifting, shorter overall workout times, and overall well-being and health that are the focus of Mike’s approach to fitness. It’s not just a “crash diet” that you endure for a few weeks then stagger across the finish line and go back to where you started. It’s a lifestyle change to a healthier, happier you and it doesn’t require you to eat, breathe, and sleep in the gym 8 hours a day, 7 days a week. Everything is rightly portrayed as being a crucial part in the bigger picture. It’s not just about your workouts, rep schemes, or resting. It’s not about any miracle supplements or “super foods”. For me, it all boils down to being consistent. If I am consistently sticking to the calories and macronutrients that my body needs currently for what I’m trying to do, pushing myself while maintaining proper form in the gym, and giving myself enough time to rest and recuperate then the changes will come. I was shocked to consistently see 2 pounds per week coming off, and not losing any strength. It was hard going at first, but the little changes over time added together are what yield the noticeable changes in the long run. Following the information presented has allowed me to make positive, long-term changes to my overall health and well-being. After getting out of high school I swore I would never Deadlift again and rarely Squat if I could help it. My most recent bout of frustration over so much time and years spent working out with not a whole lot to show for it had me lifting chest, back, and arms twice a week and legs once a week (if I couldn’t find an excuse not to) over 4-5 days. I was spinning my wheels and in the same exact place strength wise that I had been at for at least the last 4-5 years. I think it was that part of Mike’s story that really resonated with me, and was what prompted me to dig a little deeper into the research he had subsequently put in to figuring out the right way to go about doing things. I egregiously was part of the camp of “I eat pretty clean”, which consisted of ordering a grilled chicken sandwich rather than a burger on occasion and not consciously wolfing down large amounts of trans fats if I was aware they were present. But I had always turned up my nose at the whole “calorie counting” business. It just sounded way too difficult and I was way too busy to mess with it. But then I started thinking about how simplistic the whole “energy balance” aspect was and I could no longer make excuses. You could eat all of the chicken and boiled broccoli you wanted, but if it was more calories than your body needed you would wind up fat nonetheless. Now I plan out my days in advance, or eat enough of the same or similar meals that I can retro-track things at the end of the day without going overboard. And I never feel like I’m starving myself. I don’t have to avoid whatever “black sheep” food or macronutrient the health world bandwagon is currently on. I can (and have) eaten pancakes with real maple syrup, hamburgers, pasta, dairy products, cake, and other sordid sundries on my quest to lose 33 pounds. As is so true in other life arenas, everything in moderation! One of my favorite analogies for advocating calorie counting is that of the gas tank of a car. Everyone (most people) drive. They know what type of fuel their car runs on. You know not to put diesel in your Kia Optima, and you know not to try and put 60 gallons of gasoline into a tank that only holds 20 gallons. So why do you not know those things about your own body? How much fuel, and what kind, do you need to function optimally? Fun to see the responses to that typically. I won’t go so far as to say that I still don’t have the occasional carb craving which manifests as the desire to consume an entire pint of maple syrup over a short stack of pancakes or a pint of peanut butter cup gelato, but it’s an occasional occurrence rather than an every-day thing. And all of those things taste so much better when you haven’t had them in a while anyways, and when done correctly can be incorporated into your week without any major setbacks to your progress! Consistency. Becoming more consistent in my workouts: what days of the week, what time of the day, what lifts, etc., becoming consistent in what and how much I eat, and becoming consistent in the amount of rest I get have all paid dividends in other arenas of my life. As a dental student, my posture has improved and believe it or not, my punctuality as well. When I am getting up before 6 for workouts, it means I need to get things done efficiently in the evenings in order to get proper rest by getting in bed at a decent hour. I also have an overall better sense of well-being. Given, we aren’t promised tomorrow just because we are in good health, but it is nice to know that you are taking action in caring for your health and hopefully enhancing your longevity and how long you are able to do the things you do. Find your reason for enacting change in your life. Put in the work. Lift heavy, with good form. Find and track your calories and macronutrients and make it your goal to get as close as you can every day. Don’t get discouraged in a suboptimal weight loss week or with minor tweaks or strains. They happen to everyone, but not everyone responds to them in the same way. Consistency is the key. You have all of the information you could ever need, now just make something of it!